Calgary City Map | Do you Need a Map of Calgary? It's a good idea to check out a Calgary city map before you go to Calgary so you at least know your way around a little. So you know, for example, where to find the LRT stations, tourist destinations, and your hotel. Plenty of sites and books get you information about Calgary. Some of the better Calgary maps are published by MapArt and Sherlock, whether you need street details or an overview of the area. If you haven't been to the city before, then a good way to begin is to examine any website offering a calgary map online. Here is a good interactive one on the City's website: emaps.calgary.ca/asp/emaps.asp. Naturally, if you're coming here on vacation and booking into a hotel, most hotel sites will also show you where they are located within Calgary and most will have paper maps in the lobby. But these maps may not be detailed enough to give you everything you're looking for. So where can you look? Well, the City of Calgary offers a good inner-city map in PDF form at this website address: calgary.ca/docgallery/BU/engineering_services/emaps/calgary_core_map.pdf. The site also offers you lots of other useful information so it's worth taking a look around. Need to know where to ride your bicycle for instance, look at their bicycle path map. Yahoo maps also offer quite a good Calgary city map on their website. Here you can zoom in and out and get as much or as little detail as you want. In addition, if you're planning to drive, you can enter your "from" and "to" location details and Yahoo will show you what roads you need to take to reach your destination. These are only a few of the Calgary city map websites available. There are many more, and for most people, which website they choose is a matter of personal preference, or past experience. 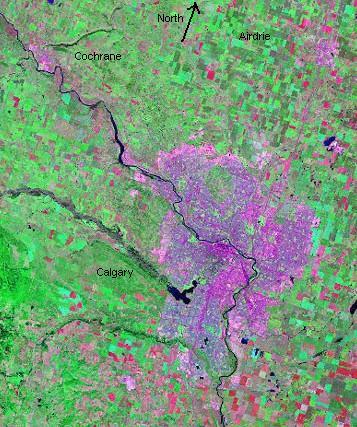 If you're coming on vacation and intend to visit Calgary and surrounding area, then you'll be wanting a map of Southern Alberta. Or maybe you're not coming to the area at all but are just interested in the different types of maps available. Whichever applies to you, Map Town is another option that should be able to meet your needs as they offer a wide range of Canadian maps, detailing not only roads but also hiking trails and camping grounds. Their full list of products is available at maptown.com/canadamaps.html. Or if you are already in the area, visit their store downtown at 400 5 Ave SW. Hiking in the foothills or mountains? The national topographic series of maps are now online to view for free. Go to Toporama at http://atlas.nrcan.gc.ca/site/english/maps/topo/map/ and click the little box labelled 82 for Calgary. Then keep zooming in for various NTS scales. Very powerful website. Want to make a website of your own. Do it right and follow this manual. Once you've scoured the web and the travel books and found a good Calgary city map giving you as much detail as you need, you should be all set for a great time. Until, that is, you realize when you get to Calgary, you've left your maps back at home. So what do you do now? Just ask someone where Map Town is and you'll be fine. And of course, you'll remember next time to pack your maps! Internet Site Map web page.